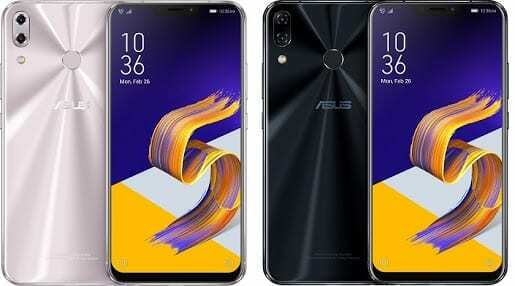 The most apparent thing on the Asus Zenfone 5Z at first glance is it’s striking similarity with the iPhone X. This is largely due to the presence of the notched display featured here. However, the result is a smartphone with about 90% screen to body ratio which is definitely a good sight to behold. Like other flagships the bezels on the smartphone is greatly reduced and the back panel is also covered with glass. Unlike the iPhone X the bottom bezels are still present but only slightly. One of the perks of the smartphone is its large display and how it manages to fit into the smartphone. The Asus Zenfone 5Z has a display of about 6.2-inch which is massive with a 19:9 aspect ratio. In addition to the large size, it is also quite colourful boasting of a 2246 X 1080 pixels and a 403 ppi pixel density. While high-end flagships are not the type to pack a lot of battery power, the Asus Zenfone 5Z has just enough for a decent usage time. The smartphone packs a 3, 300mAh battery capacity in addition to the list of features it has. Even though there’s no wireless charging like you have in other flagships despite being made of glass. The smartphone supports the quick charge feature. 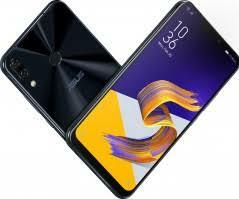 Moving on to the brains behind the smooth performance, the Asus Zenfone 5Z also makes use of the latest Qualcomm chipset same as the likes of Samsung Galaxy S9 and LG V30S ThinQ smartphone. Talking about the Octa-core Qualcomm MSM8998 Snapdragon 845 chipset alongside an Adreno 630 GPU. The good run continues with a mouth watering 8GB RAM and a built-in storage of about 256GB which is about the most you can ask of a smartphone. It also supports a memory card up to 400GB if you wish to have more space which I doubt if most people would want that. Like most flagships launched this year, it has Android 8.0 Oreo pre-installed.